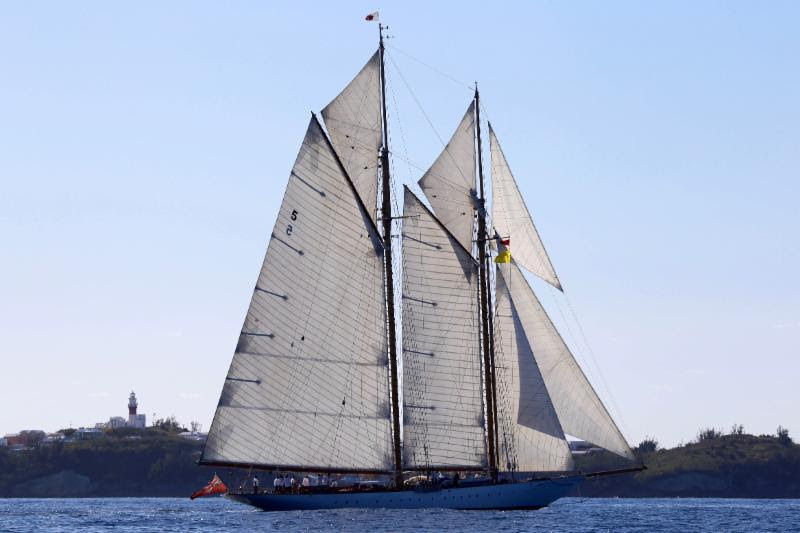 The magnificent 162ft schooner Eleonora — an exact replica of the 1910 Herreshoff-designed Westward — took Line Honours for the Classic Class, finishing the Antigua Bermuda Race just before sunset yesterday [May 17]. 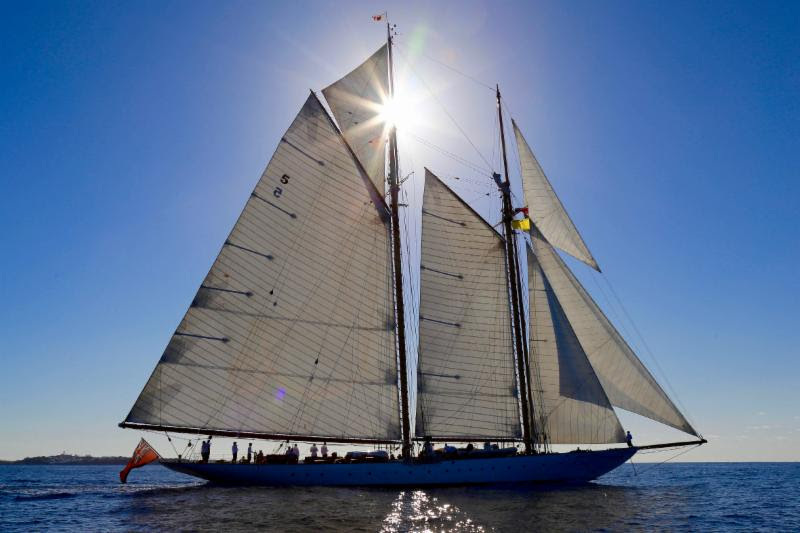 Eleonora is one of the best-known racing schooners in the world and will remain in Bermuda for the duration of the 35th America’s Cup. 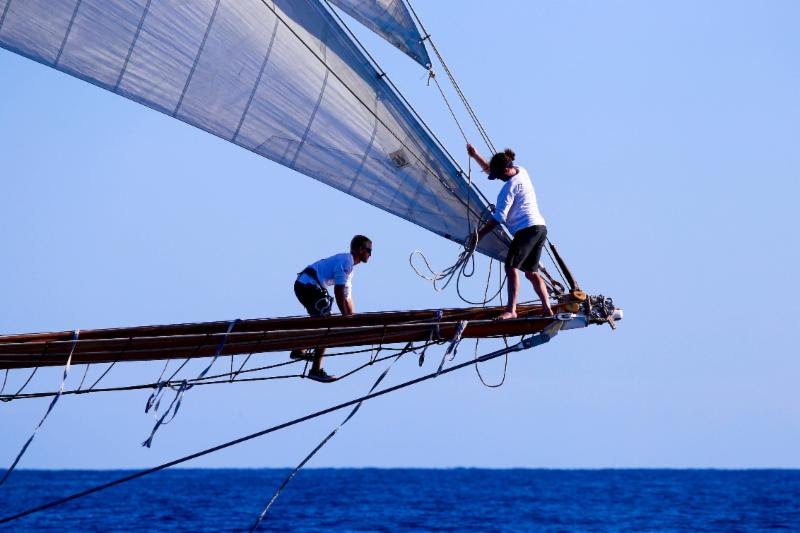 The beautiful 90ft Swan, Freya owned by Californian Don Macpherson and skippered by Bermudian Joph Carter, finished the race just after Eleonora and is currently second overall in both IRC and CSA. 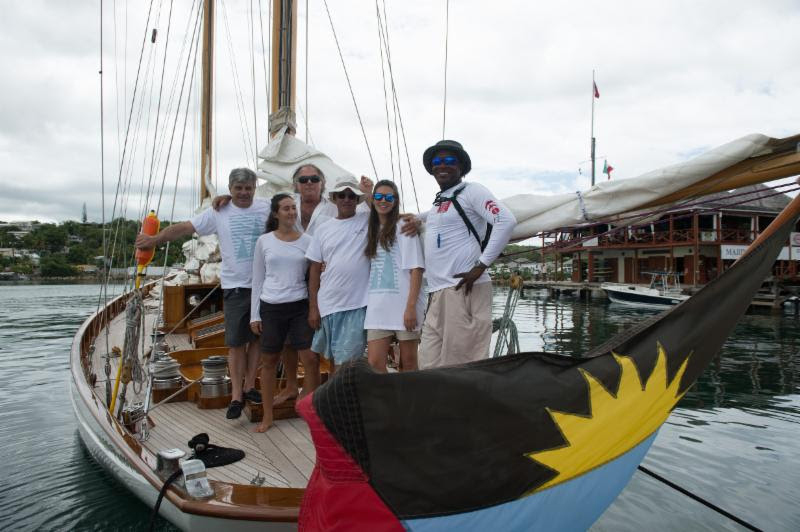 “Congratulations should also go to other yachts that finished the race, including John Marshall’s British Oyster 65, Rock Oyster; Ondeck’s Antiguan Farr 65, Spirit of Juno, skippered by Paul Jackson; Carl Soares’ Bermudian Paradise 60, Morning Star and Carlo Falcone’s classic Antiguan 1938 Alfred Mylne yawl, Mariella,” the organisers said. 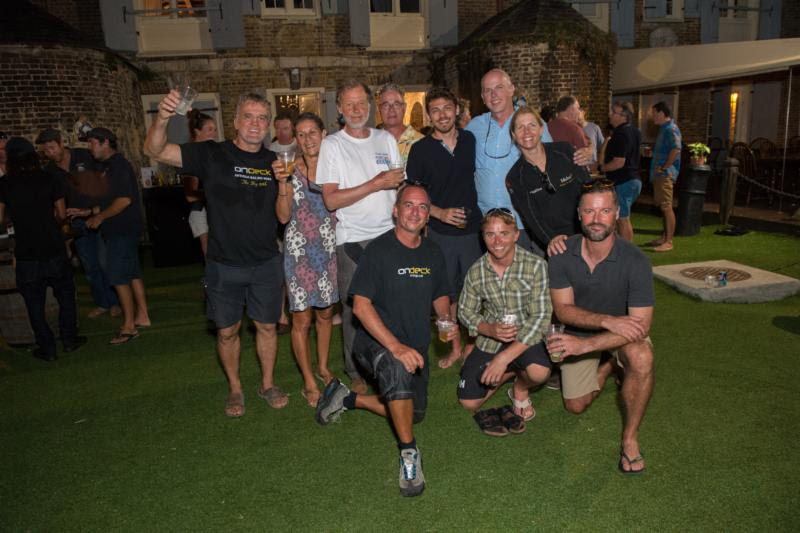 “Eighteen years ago, at exactly the same time, and from exactly the same place, Mariella was also heading to the America’s Cup venue; only difference being that instead of having to sail 1,000nm it was 8,000nm all the way to Auckland, New Zealand,” says Carlo’s son, Shannon Falcone who was part of Team Oracle, winners of the 34th America’s Cup in San Francisco. 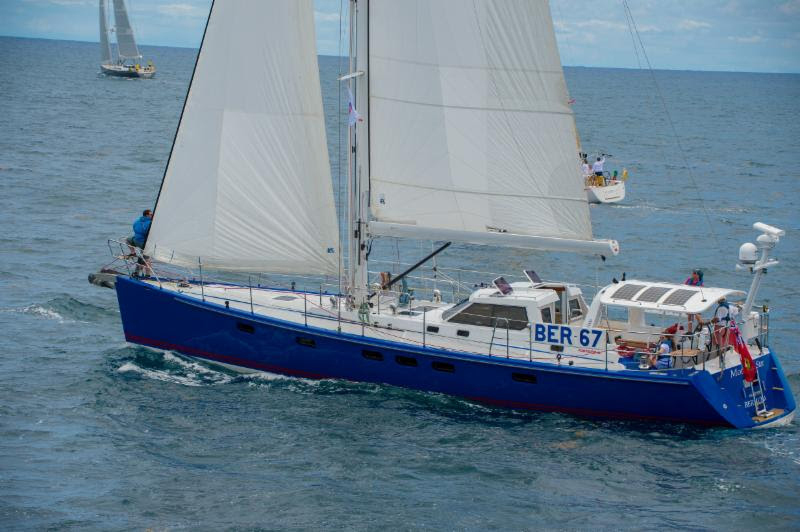 “Out on the race course a terrific and somewhat rare battle is taking place between Chris Stanmore-Major’s Whitbread 60, Challenger and Gilles Barbot’s Volvo 60, Esprit de Corps IV from Québec. Both Canadian yachts are virtually neck-and-neck after time correction.